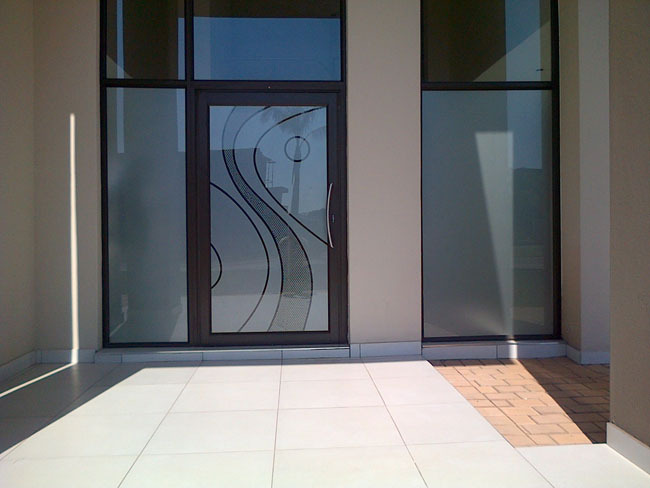 Frosted Film Krugersdorp Window Frosting Krugersdorp – We design supply and install to your exact requirements. Give your home or office a new authentic look while creating privacy at the same time. Our pricing is very competitive. Call us today for an estimate. Using frosted windows or window tinting you can slightly alter the appearance of your window and prevent it from being quite so transparent. Window tinting means giving the window a slightly darker appearance and a slightly altered color in Krugersdorp. 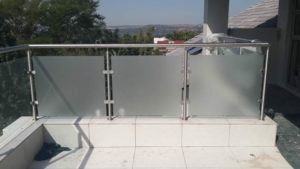 Window frosting Krugersdorp meanwhile makes the glass less transparent and more translucent and works both ways. When looking either way through the window, this makes the figures outside look slightly distorted and prevents you from being able to make out fine details. At the same time it also means that your windows will let in a good amount of light still and this will keep the appearance of your rooms bright and spacious while still giving you many benefits. 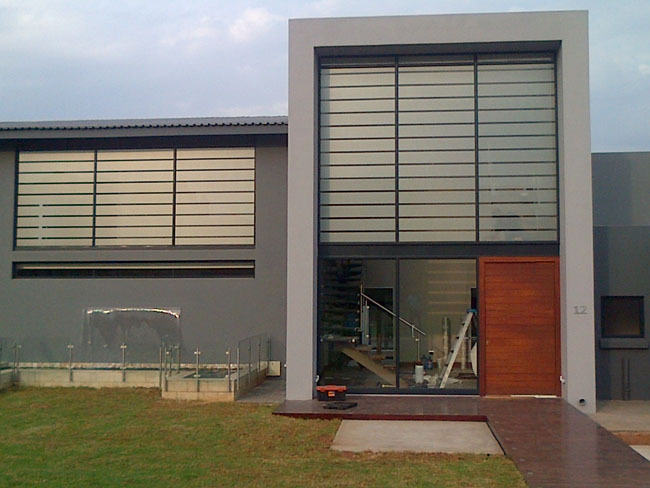 Either window tinting or frosted windows will make your property in Krugersdorp more private and secure. Because people won't be able to see the details through the glass as easily this will mean that they can't see what's going on inside. For a residential property this can give you peace of mind – allowing you to get changed etc without worrying about being seen. Meanwhile for businesses it can help for keeping your company secrets safe. Of course most important it will prevent passers by from noticing your computer equipment/widescreen TV etc and then trying to break in to steel it. Most crimes are crimes of opportunity, and if you take away the temptation then this opportunity won't seem to present itself. Frosted film is mainly applied on glass surfaces such as in windows and doors to regulate the amount of sunlight that comes in. Privacy window film then can help provide a sense of security and privacy to your home. Privacy film blocks visibility, it still lets some sunlight to pass through. Because the glass is covered with a plastic film, it prevents it from breaking during stormy weather. The plastic film also protects the glass from scratching. A privacy film may be used in your home, particularly in the bathroom. It can be used on the windows or the shower door. 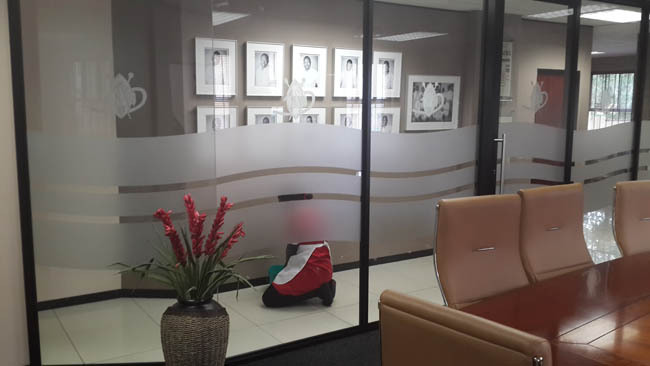 Use it in your office in Krugersdorp, in the meeting room for instance. You can even use it for your car. For all your safety and security needs, a privacy window film is the perfect solution. Frosted film is not only used to provide more privacy for your home, but it is also perfect for sprucing and decorating up a room. It can be applied as a design on windows or on mirrors. It can outline the edge of a window or mirror, or you can even cut out designs and place them on your glass doors, windows and mirrors. 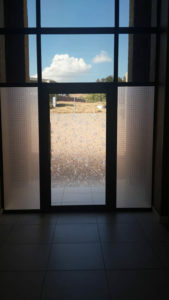 There really is a lot of use for frosted film, besides it being used only as privacy window film. You can get privacy window film in frosted patterns from the classic frosted glass to very elegant etched finishes and the most contemporary, vanguard and inspired designs. In top of that, they come in designs where you can have small areas through which you can you can look out with discretion but clearly; reason and case you should pay attention when you are buying and take a look where they have the best assortment. In addition of that, you may create the most beautiful “vitrals” with geometric and colorful patterns and designs: From flowered and nature themes, to religious and inspired. Achieve effects to relax or energize. Keep in mind that the light coming through your privacy window film from the sun on these colorful ones, will add a hint of the dominating color on it. They will not turn your home red or green, but this light will accentuate the greens or reds. Play and use your imagination and create the perfect atmosphere in your home, office or shower or favorite room in Krugersdorp. Love it! There are more reasons to get a Privacy window film. New technology allows the production of almost invisible films. Films that work as the best filters keeping up to 90% of the UV Rays from passing throughout your windows. Stained glass looks have now been brought in with decorative frosted window films that adorn windows at a fraction of the cost. Decorative privacy window films are no more a reserved for the most expensive homes. Using frosted windows or window tinting you can slightly alter the appearance of your window and prevent it from being quite so transparent. Window tinting means giving the window a slightly darker appearance and a slightly altered color. Either window tinting or frosted windows will make your property more secure and private. It can outline the edge of a window or mirror, or you can even cut out designs and place them on your glass doors, windows and mirrors. Stained glass looks have now been brought in with decorative frosted window films that adorn windows at a fraction of the cost.